Pickle-ball Inc. offers many different paddle sets that include our highest quality black net, plus 4 Diller paddles, 6 balls, and rules. Pickle-ball Paddle Sets are designed to be attached to your existing net standards. 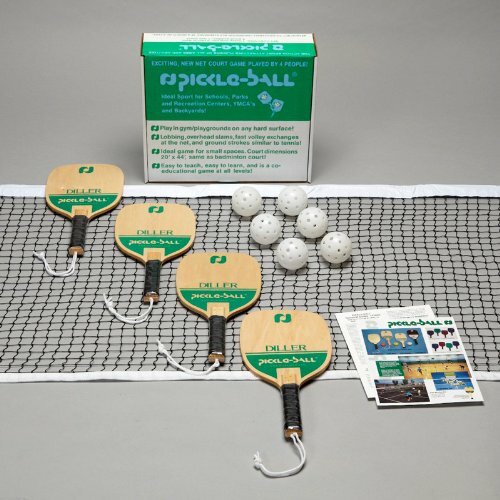 If you have any questions about this product by Pickle-Ball, contact us by completing and submitting the form below. If you are looking for a specif part number, please include it with your message.